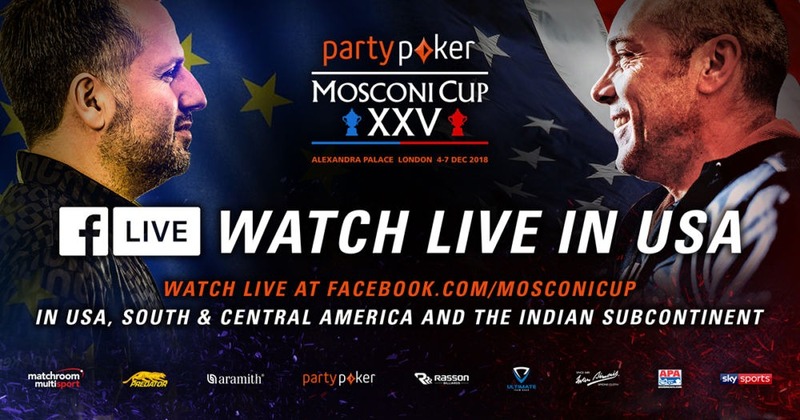 Matchroom Multi Sport is delighted to announce that this year’s partypoker Mosconi Cup will be broadcast free of charge on Facebook Watch in the USA, South & Central America and on the Indian subcontinent. The news means pool fans in America can watch live as Team USA attempt to reclaim the famous trophy from the hands of Europe. The American team has been working together all year as they plot to spoil Europe’s party and take home 9-ball’s most famous trophy. 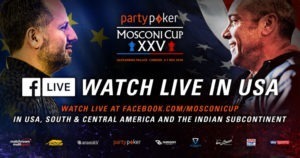 With a team including 5-time US Open champion Shane van Boening alongside Skyler Woodward, Corey Deuel, Billy Thorpe and debutant Tyler Styer, the Americans are determined to wrestle back the partypoker Mosconi Cup. The tournament runs from Tuesday, December 4 until Friday, December 7 at London’s Alexandra Palace with the action starting at 1:30pm Eastern each day. The worldwide television coverage, led by host broadcaster Sky Sports, will be complemented by streaming on Facebook Watch across the Americas and on the Indian subcontinent through the countries listed below. Fans can like the Mosconi Cup Facebook page to get events added to their personal Watchlists.